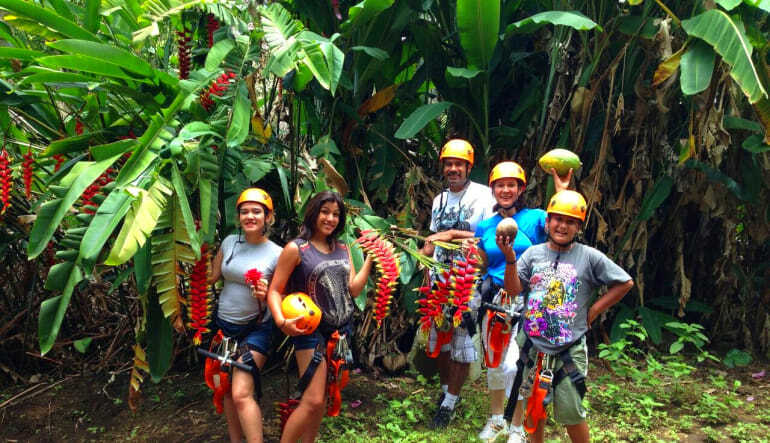 This jungle canopy tour gives you all the tropical eye candy you’d expect on a Hawaiian treetop-to-treetop adventure and then some! 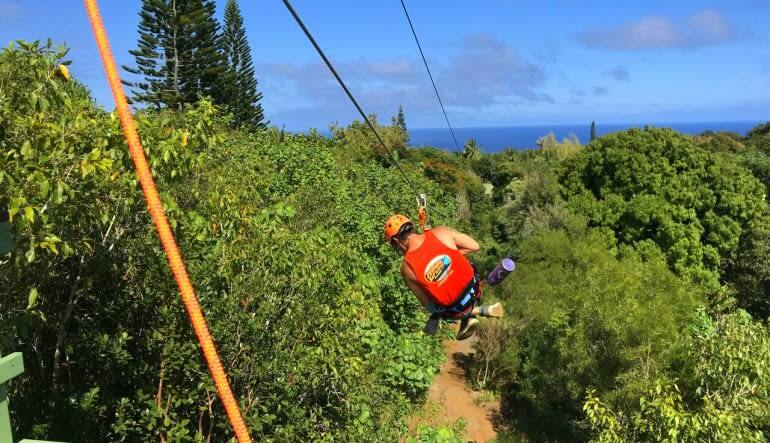 For top-notch ziplining, Maui is your one and only destination. 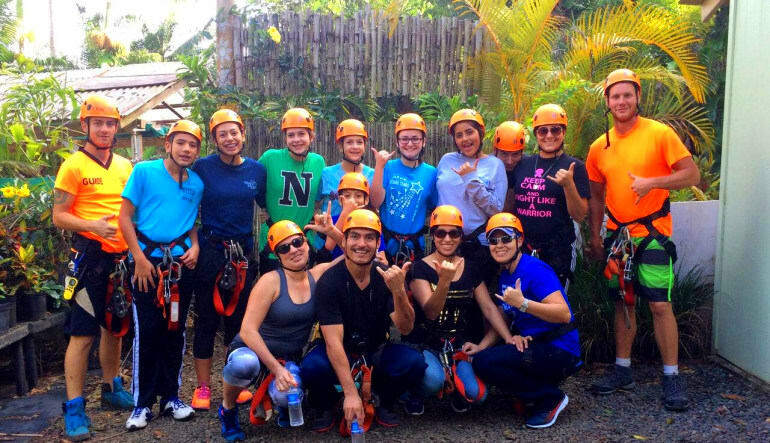 This jungle canopy tour gives you all the tropical eye candy you’d expect on a Hawaiian treetop-to-treetop adventure and then some! 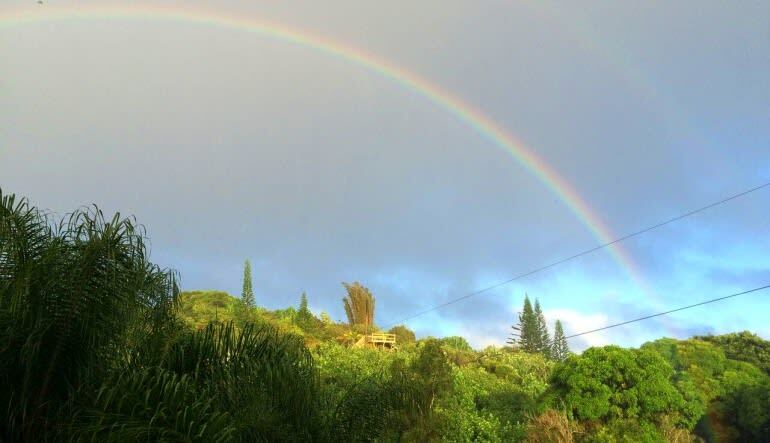 Breathe in the Maui scenery while having a blast high above ground on tree platforms, swinging bridges and seven thrilling ziplines! Pull up to the tropical valley (conveniently situated right off the highway), meet your friendly guide and gear up for the adventure. Get a quick equipment rundown. The course uses only the safest gear, including the zipSTOP breaking system, which allows for a smooth ride. Exercise your vocal chords while whisking along five wild ziplines, two tree platforms and two suspended bridges! Stay fueled with complementary snacks and refreshments. 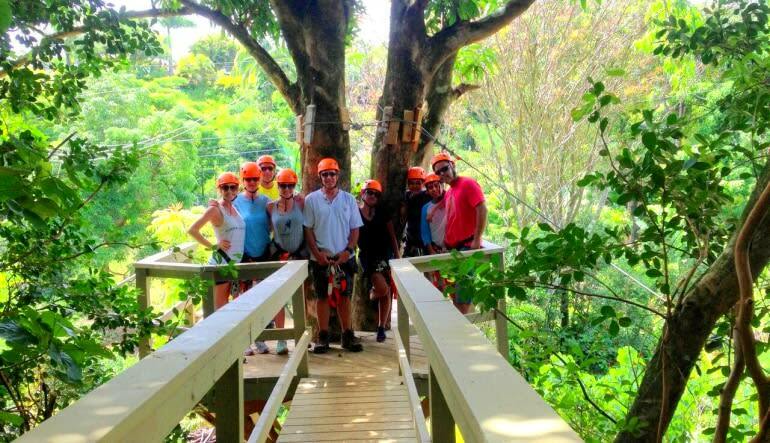 After the zipline tour, receive access to the nature park and make a full afternoon out of it! Apart from all the Tarzan-ing around, you’ll appreciate how this adventure is also very much a nature tour. You’re smack in the middle of a remarkable ecosystem. Take the opportunity to learn all about the forest’s hidden treasures. There’s a whole lot out there!